This morning, my friend Pat, who you can find on Facebook as "Sweet Treats to Eat,"and I attended a Pancake Party at the Cicero IHOP location. The Party was to help promote National Pancake Day, which will be held at IHOP locations around the country on March 4 to raise funds for children's charities. At the party was Latin singer Diana Reyes (what a beauty!!) and the family of Giovanni Valdovinos. Valdovinos is the adorable little poster guy for the Chicago area National Pancake Day events. His photo is on promotional materials at local IHOPs. The 7-year-old has been a patient at Ann and Robert H. Lurie Hospital in Chicago since he was a baby. Giovanni has been treated there for several difficulties, including hip dysplasia, and has endured 18 surgeries. His family is grateful for the treatment he has received at the hospital. "It's one of the greatest hospitals," said Giovanni's mother, Evelyn Torres. "It's like a second home. "His mother said that he spent most of his first year at the hospital. 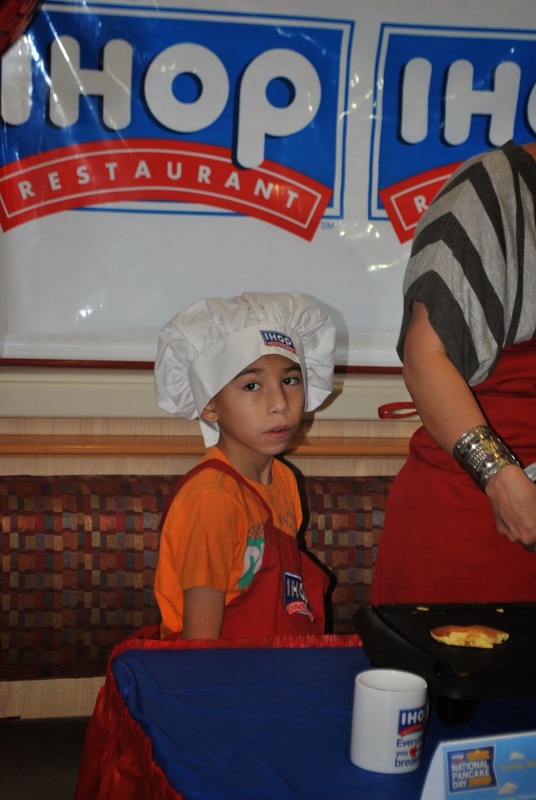 The event was held to raise awareness of IHOPs initiative to aid kids like Giovanni through National Pancake Day, a longtime event where diners are treated to free pancakes and invited to make a voluntary donation that will go toward the Children's Miracle Network Hospitals. All proceeds from Chicago area locations will go to Ann and Robert H. Lurie Children's Hospital, where Giovanni has been a patient. 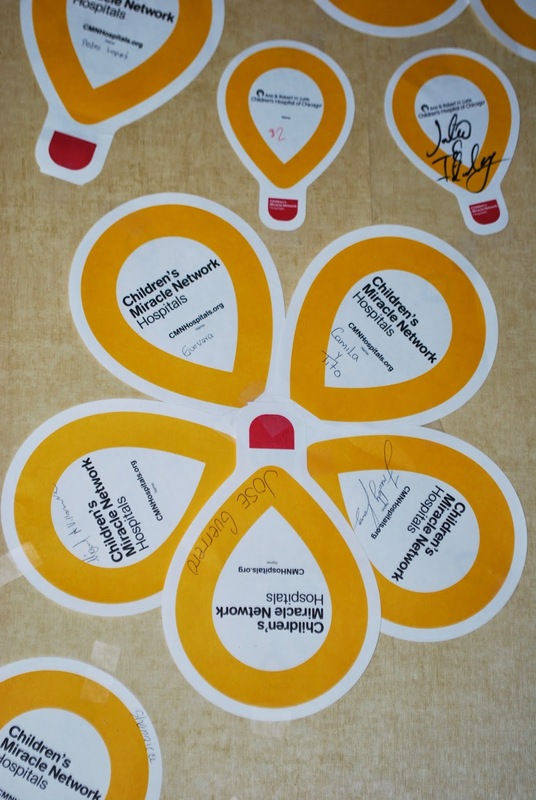 Even if you don't make it to IHOP on National Pancake Day, you can stop by and purchase a balloon that you can add your name to and make a donation that way. Suggested donation for the balloon is $1, but you're free to give any amount. Take a peek through the pics from the event below. Giovanni took a turn flipping pancakes! Reporters from Telmundo and Univision were there to help spread the word about National Pancake Day. Got a quick pic with David Miranda from Univision Chicago. You can purchase balloons to help support Ann and Robert H. Lurie Children's Hospital in Chicago. Giovanni and his mom, Evelyn, talk to Latin singer Diana Reyes. 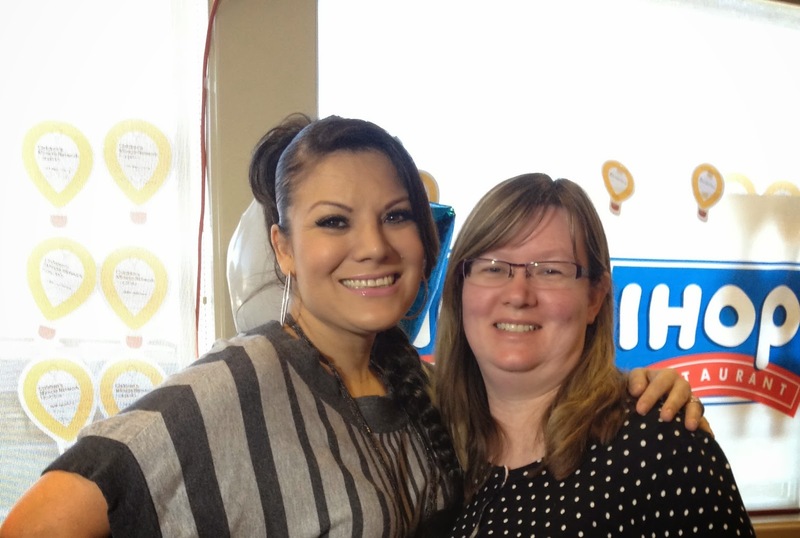 A quick pic with singer Diana Reyes.